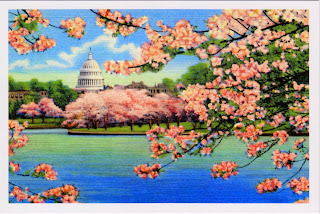 Outgoing postcard US-3372297 to Japan was a reproduction of vintage linen postcard Vista of Capitol through Cherry Blossoms, Washington, D. C. by D.C. Reynolds Co in the 1930s. It shows the famed cherry blossoms around the Tidal Basin with the U.S. Capitol Building in the background. 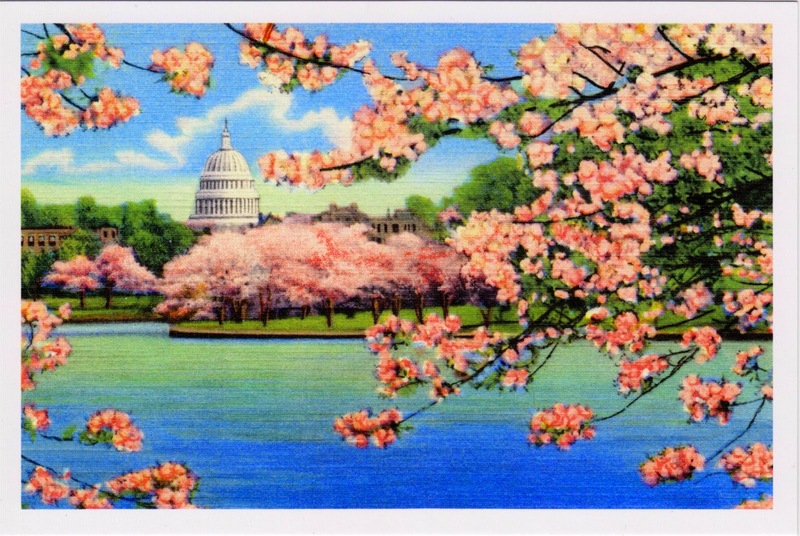 It has one of the USPS Gifts of Friendship stamps featuring the U.S. Capitol building surrounded by white and pink dogwood trees. According to a USPS news release, "in a ceremony at the Tidal Basin in Washington, D.C., on March 27, 1912, First Lady Helen Herron Taft and Viscountess Chinda, wife of the Japanese ambassador, planted the first two of 3,020 flowering cherry trees gifted to the nation’s capital from the city of Tokyo. As a show of gratitude for this generous gift, former President William Howard Taft arranged for the United States to send 50 flowering dogwood trees to Japan in 1915. This reciprocal gift featured a species of tree native to the eastern United States and Canada."